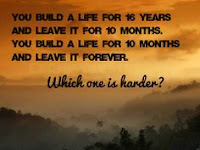 My exchange year didn`t start when i took the plane to Schiphol, but when i took the decision to leave. Long time before. Back then I started changing, growing, looking at the world from a different prospective. I have been very impulsive, I have discovered about the exchange programs and applied for one in the same week, and I went agains the will of my parents, who would have preferred me to stay home and go to school, instead of messing around in Europe. My exchange year is not gonna end when I`ll meet again my parents at the airport. It`s gonna last my whole life, because the change is forever. I will live other wonderful experiences, I will travel again, I will change and grown a lot. 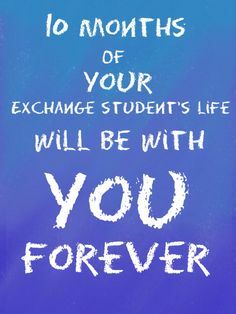 But still, There will always be an ExchangeStudentPart in me. There is less than a month to go before my flight back in Italy, and my emotions about it are still very confused. How will it feel like to walk again the streets of my city, the places I have known since when I was a child? Meet again my friends, the ones that I still have contact with and the ones I have missed during these months? How will it feel like to speak my language, understand every word of what people say, go to my old school, talk to my parents and family everyday? I think about the different person I am now, the experiences that made me richer, the fears i won, my projects, dreams changed, amazing people I have met, and with whom endless bonds are born. I feel a huge confusion in my head, turned between my old life and my present life. Not knowing if I will be able to fit in again in my italian life. Sooner or later every exchange student will find himself in a situation in which everything becomes just too much. I haven`t had many of those moments, but it happens to everybody. You are just tired. Tired of people who say to you -Je moet proberen- which means -You must try this-. You would like to have once in your life something easy, something familiar, that belongs to you. You are tired of new strange food, difficult language and expressions, weird behavior, tired of everything. And you will wonder why the hell you came to the Netherlands, and why the hell you ended up in Zeeland. Those moments won`t last long, if you take the initiative and make things better. Hoi! Ï'm an italian exchange student, at the moment I live in Netherlands with an host family, english is not my native language so forgive me for all the mistakes that I'll do :) I love the people and the world, I'm trying to learn everything I can about it.